The drama’s mega success fuels demand for new Yu Zheng dramas. Topping the list of most searched global television drama on Google in 2018, The Story of Yanxi Palace <延禧攻略> is said to have sold its broadcast rights to 90 countries for an estimated amount of over 300 million yuan. Rates for advertisement placements within the iQiyi drama, which starts from 3 million yuan per ad, are estimated to earn the 70-episode drama at least 210 million yuan ($230 million HKD) based on a one-ad-per-episode basis. 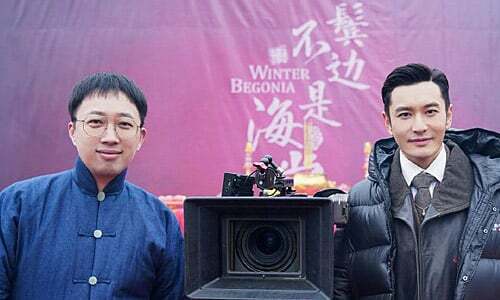 Based on the web novel of the same name, Winter Begonia started filming in December and will be produced by the same production team behind Yanxi. It will star Huang Xiaoming (黃曉明) as a patriotic wealthy businessman alongside Chinese actor Zheng Yin (尹正) who plays a famous opera actor. Telling the colorful stories of China’s first known royal acting and music academy “The Pear Garden”set in the 1930s, it will focus on the rich traditions of traditional Chinese opera. Combining themes of patriotism, brotherhood, and romance, Arsenal Military Academy revolves around the female lead (played by Bai Lu (白鹿)) who disguises herself as a man and enlists in place of her brother. 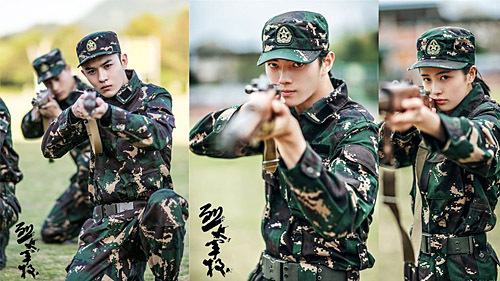 Meeting wealthy second generation Gu Yanzhen (played by Xu Kai (許凱)) and the stoic and calm-faced Shen Junshan (played by Toby Lee (李程彬)) in the army, the trio become comrades who unite to undo the enemy’s vicious motives, while realizing romantic passions and patriotic dreams. The drama is expected to air in 2019. Another upcoming drama with Yu Zheng as scriptwriter and producer is Lofty Waters Verdant Bow, which is based on the wuxia novel by Liang Yusheng (梁羽生). Two previous television adaptations were a 1984 version by ATV and a 2002 version by TVB, which starred Raymond Lam (林峯) and Michelle Ye (叶璇). Word has it that the cast of the remake will include Wu Jinyan (吳謹言), Song Weilong (宋威龍) and Xu Kai, with Charmaine Sheh (佘詩曼) in a guest role. 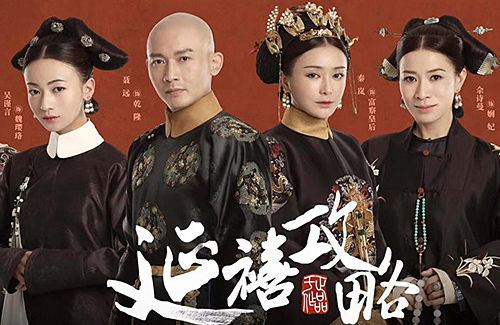 The sister drama of Yanxi, Sheng Tang Gong Lue is another highly anticipated production. Besides Yu Zheng, other stalwarts behind Yanxi including Li Xiuzhen (李秀珍) as producer, Doris Song (宋曉濤) as wardrobe stylist and He Jinluan (栾贺鑫) as art director are also on board. Filming is expected to commence in the second half of February 2019. The team stated that the new drama will not be using the same actors as Yanxi. OH MY it sounds like he is plagiarizing MULAN, is he trying to compete with the movie version coming up? Lofty Water Verdant Bow is one of the best TVB dramas I like, all the cast did so great. He usually ruins the Wuxia genre, it might sound a bit more promising if he would use Wu Jin Yan and Xu Kai as main roles again rather than guest roles. Good thing it’s not the same cast over and over again it’s gets boring seeing that one actor/actress as always. Plus they need to have breaks especially WJY considering how she looks anorexic and wants to be skinner, she just needs to rest and stop trying to diet. Yu Zheng needs to have consecutive production flops to lop off his lofty heights.